The Odisha Integrated Power Ltd (OIPL), a fully owned subsidiary of Power Finance Corporation (PFC) is in the process of preparing the draft power purchase agreement (PPA) for the first ultra mega power plant (UMPP) in the state. The maiden UMPP with a capacity of 4,000 Mw is coming up at Bhedabahal in Sundargarh district. OIPL is a special purpose vehicle formed for implementing the UMPP. 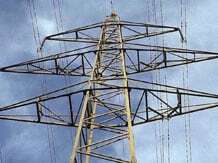 Odisha would get 1,300 Mw as state share from this power project. The project will be implemented as per the terms and conditions of the PPA. The selection of bidder is being done as per the tariff based competitive bidding guidelines issued by the Central government on design, build, finance, own and transfer (DBFOT) basis. The Request for Qualification (RFQ) for the UMPP was issued on September 25. OIPL has received applications from nine prospective developers — Adani Power Ltd, CLP India Ltd, Jindal Power Ltd, JSW Energy Ltd, Larsen & Toubro Ltd (L&T), National Hydro Power Corporation Ltd (NHPC), NTPC Ltd, Sterlite Infraventures Ltd and Tata Power Ltd. The award under Section 11 (of Land Acquisition Act) for private land measuring 2,733.54 acres was issued by the Sundargarh collector from August 8-10 this year in all affected villages- Kandabahal, Kirei, Rupidihi, Kopsingha, Lankahuda and Bhedabahal. OIPL had deposited the land compensation amounting to Rs 634.92 crore with the Odisha Industrial Infrastructure Development Corporation (Idco) on June 21 this year. Idco, in turn, deposited the same with the Sundargarh district administration in August 2013. Till December 19, compensation of Rs 125 crore has been disbursed. The district administration, meanwhile, is processing 36 cases of alienation of non-forest, government land measuring 512.43 acres. The UMPP needs 3,100 acres of land in all. Three coal blocks — Meenakshi, Meenakshi B and dip side of Meenakshi with combined deposit of 838 million tonne have been allocated for the UMPP. Presently, Central Mine Planning & Design Institute (CMPDI) is demarcating the coal blocks. Notification under Section 11 of Coal Bearing Areas (Acquisition and Development) CBA Act has been issued for the Meenakshi coal block. OIPL has submitted a revised proposal for environment clearance in October 2013 . The proposal is under consideration of the Union ministry of environment & forests (MoEF). Two more UMPPs are set to come up in Odisha. It has been decided to set up the second UMPP at Bijoypatna in Chandbali tehsil of Bhadrak district and third UMPP at Narla under Kesinga sub-division in Kalahandi district. The sites have been selected after field visits by PFC. Two subsidiaries — Sakhigopal Integrated Power Company Ltd and Ghogarpalli Integrated Power Company Ltd have been formed by PFC for executing these two UMPPs. The second and third UMPPs would contribute 2,000 Mw each to the state grid.